Welcome to the 14th Clint Barton & Natasha Romanoff appreciation thread! Because even Jeremy thinks that there's something happened in Budapest! Because she dropped everything right after Coulson told her that Barton'd been compromised. 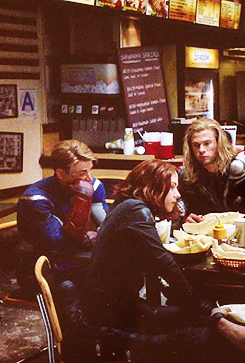 Haha, I love the shawarma scene. 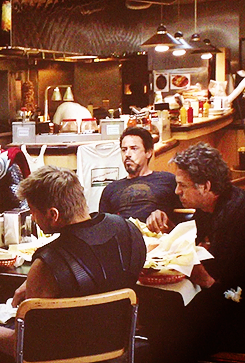 I wonder if we'll get a fun mid-credit scene like this again or if they will all be serious. So in the comics, Clint dates Bobbi after natasha? Yep. The start of his and Natasha's relationship is filled with strife. Natasha is with Bucky atm (I think) and Clint and Bobbi are separated. I think most of the people who think Steve ships them comes from this scene lol.